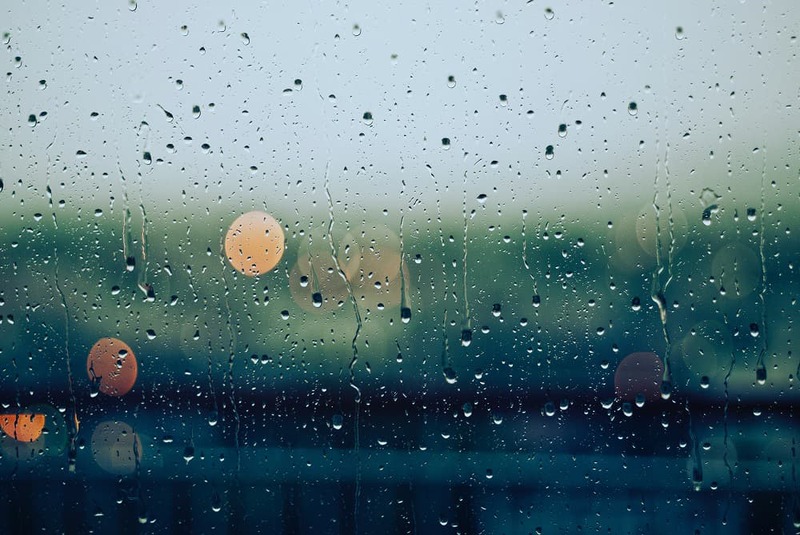 April showers may bring May flowers, but they also bring problems for a home’s foundation and basement — especially if those showers are a heavy rain or you live near a lake or river. Soil will absorb as much water as it can hold, which means if water is standing on the surface, the dirt beneath already has sucked in as much water as it can take. Heavy rains also overwhelm gutters, so rain can drip directly down to the foundation instead of being funneled to the downspouts and away from the home. When soil expands, it creates pressure against the concrete foundation and basement walls. Concrete is porous, so water is pushed through it. Without a proper drainage system, the water around the foundation eventually will find its way inside the concrete and into your basement. If you live in an area with a high water table or near a body of water, you need to be extra vigilant about proper drainage. If water quickly dries up after a flood or heavy rain, it leaves pockets in the soil, which can result in the soil shifting. Shifting soil equals a shifting foundation. This doesn’t mean your home suddenly will tilt to an alarming degree, but a shifting foundation can lead to an assortment of problems. Common sense dictates that when you see water puddles on your basement floor, it means flood damage. However, there are more less-obvious indications that the foundation is not waterproof and drainage is inadequate. Hairline cracks in the concrete might not seem like a big deal — and in the beginning, they’re not. But small doesn’t mean “not deep,” and they will get bigger as pressure continues outside the foundation. No matter the size, any crack means improper drainage and water infiltration. Have all cracks repaired as soon as possible after you notice them. Bowed walls mean a great amount of pressure is being exerted on the foundation. Bowed walls need to be shored up, and waterproofing addressed. When the foundation shifts, it doesn’t limit damage to the lower part of the home. It also can cause issues in other areas of the house. Windows might start cracking or they might not close flush with the sill. You might have problems with stuck doors or doors that don’t latch properly and doorjambs that are not level. Floors could start sagging and cracks may appear in the ceiling. The best thing to do is to take preventive measures before yearly spring showers and floods start to affect your home. Make sure gutters are clear and the downspouts and extensions are aimed away from the foundation and lead several feet from the home. Install one or more sump pumps in the basement. Sump pumps should have a battery backup, not an electrical one; otherwise, it won’t work if the power goes out during a rainstorm or electrical grids are knocked out by a flood. Also, consider installing a perimeter drainage system if you don’t already have one. When the weather clears up, check the grade of your property’s slope. In other words, hire a professional to determine if the land angles downward away from the house enough for water to follow that angle instead of sitting next to the foundation. Bring in a pro such as Acculevel to repair any issues and offer suggestions on what you can improve in terms of waterproofing. A specialist can fix cracks, shore up walls, install sump pumps and drainage systems, remediate mold, and lift the foundation. Do not attempt to do any of this yourself — unless you work as a foundation specialist. DIY attempts largely are unsuccessful and can create more problems or result in injury. Family owned and operated, Acculevel has been specializing in basements and foundations since 1996. Our honest and hardworking staff are ready and willing to assist you in determining the root problem and suggesting repairs. We never try to sell you something you don’t need, so you can trust us to have your home’s stability and your best interests at heart. If you live in the Midwest and need an expert opinion on basement water damage, contact us at (866) 669-3349 or email us at [email protected].